It’s a platformer for iOS, where one jumps, they all jump. Think coordination puzzles like Lemmings, but with casual platformer mechanics. Over 200 sections to complete, presented in 72 levels and 3 different worlds. Between the D-pad and the swipe modes, I, personally, prefer D-pad (hands down). Our game literalizes, dramatizes, and upends the Freudian interpretation of dreams into a four-part dream sequence. Plagued (or, perhaps, blessed) by pyromania, narcolepsy, voyeurism, and kleptomania, the main character spins and is spun by her attempts to order the chaos of her mind. Struggling to cut through the tangled prisms of interpretation, these (dis)orders dwarf and distort her efforts to see things as they are. Click here to play. Play as a dog, moving around and sniffing for things. The dog can smell specific objects and remembers them by color. 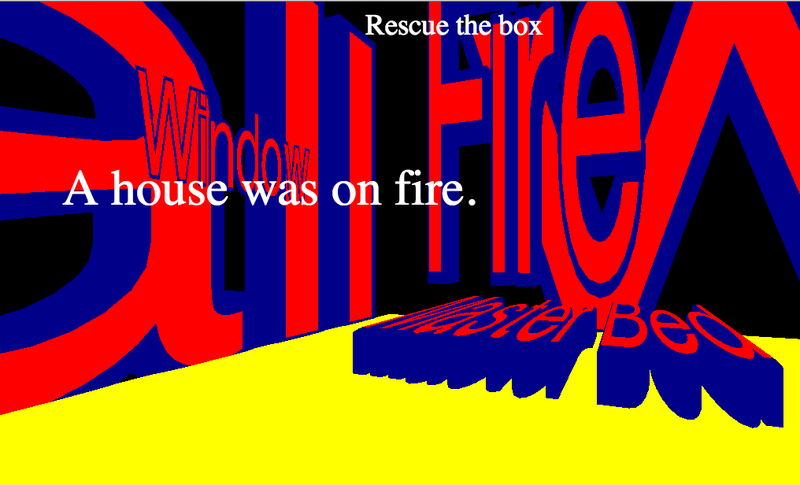 The player will have to learn what are good smells and bad smells. A mini project I worked on to get acquainted to mobile app development. I used Java within Eclipse along with the Android libraries and simulator. This is a rhythm game. The programming approach I took was inspired by player pianos. EMPath is the first real-time playable game that uses Directed Optimization-Based Drama Management (DODM). DODM was originally proposed in 1992 and implemented in 2001. EMPath was developed to work in conjunction of the DODM in 2007 and took on the style of a 5×5 room dungeon game. 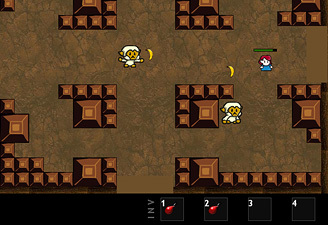 In 2008, it was augmented from a 10 plotpoint game to an 18 plotpoint game with ann 8×8 room dungeon. Overall, the user experiences were evaluated on over 100 users and assessed for contributions of authorial leverage through using methods in machine learning. The player character in the game is to fulfill a simple task, although it metaphorically translates from the dream world into real life, kind of imposing the meaning for the fantasy into an interpretation of how a person might will himself to wake up every morning. This aim is to give an internal/ontological experience. The story is creating this place that you go every time you sleep to determine whether you will awaken the next day. It is a question about how we, as human beings, muster up the motivation to live another day. The task of getting the water to the altar is fairly easy, symbolizing that you just have to be willing to open your eyes to live another day; however, if the player is careless or not thorough, he might miss confronting all of the inner conflicts in his life which can eventually become over-bearing and paralyzing. 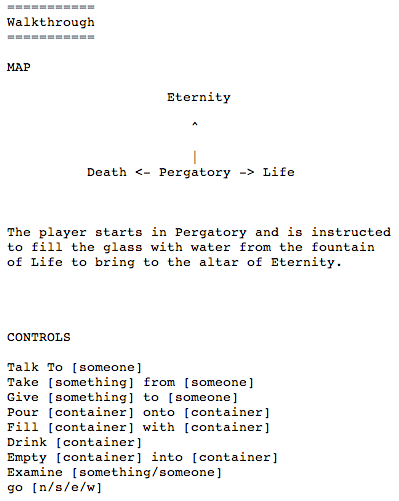 I’d say that while in “Purgatory” time does not exist, therefore it is like an eternal state of being, hence “Eternity.” In the game, there are many experiences to interperate. Primarily, the user will encounter the 7 deadly sins. The motivation behind this game was to take three perspectives on a set of circumstances and use a planner to represent the story domain. The story was a Robinhood type setting with perspectives of Government, Renegades, and the Church. lastingimpressions is a script implemented in Greasemonkey that records information about the viewable profiles on Facebook. It is basically a client-side Facebook application that stores information that the user does not care for others to publicly see. Each profile, except the user’s profile, will have the option of typing in and storing textual information through a textarea element. This could, of course, be IOU’s for money and borrowed items. It could also be birthday gift ideas, lasting memories, or Christmas card messages for later reference. Finally, all data can be logged onto a single printable document. This paper will demonstrate some aspects of client-side scripts in conjunction with server-side applications for a very specific API and discuss the broader impacts of programming languages in this arena. 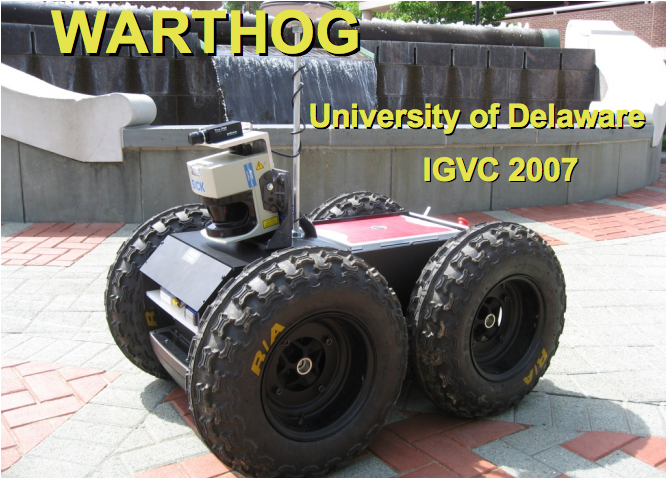 Warthog is the inaugural entry of UD Robotics in the Intelligent Ground Vehicle Competition. 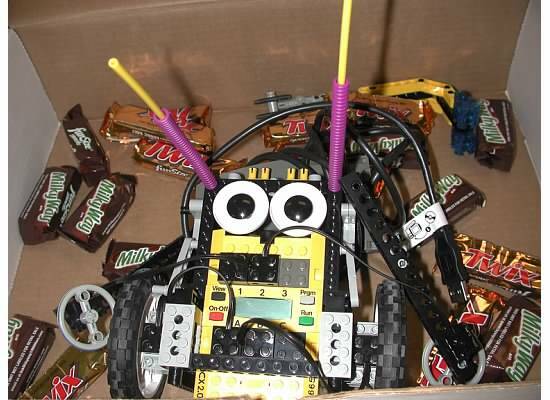 The inception of the team was an informational meeting held in November, 2006, and the RMP 400 robot base was ordered from Segway soon after. Nearly 30 interested students interviewed for positions, and about half were invited to join the team. All team members enrolled in a 3-credit Computer & Information Sciences graduate seminar taught by Prof. Rasmussen in the spring called “Robot Navigation and Autonomy.” The robot was delivered at the end of January, and the first meeting of the course took place the following week. 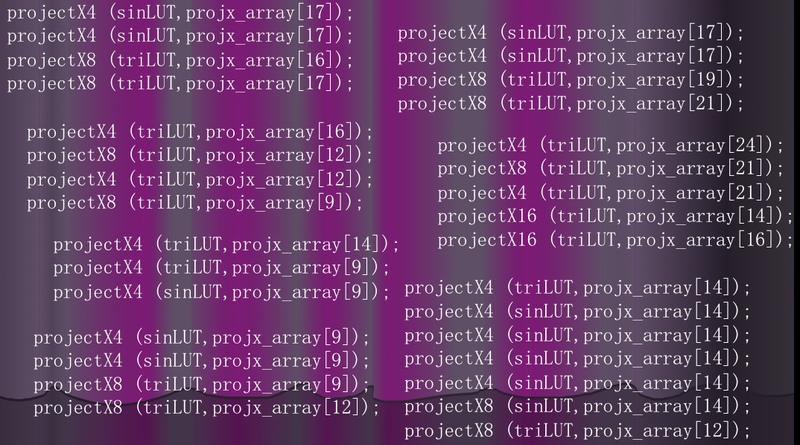 It is the purpose of this project to investigate the achievement of interactive frame rates by precomputing the superset visibility information. Precomputation and storage of visibility information can be utilized to accelerate online culling and rendering during interactive visual simulation of a geometric model. On-line culling is the retrieval of the static visibility data for the cell containing the observer and selection from this superset data using precise knowledge of the observer’s position and field of view. 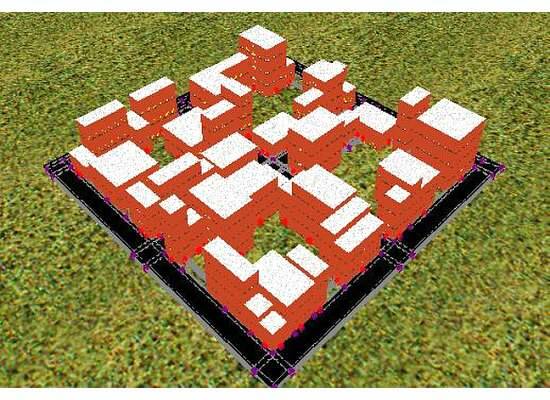 For this project, the data structure, kD-tree, is implemented in order to preprocess the locational information of visible 3-dimensional objects. In particular, the data structure created handles the case of 2 dimensional distribution of points for a plane in 3-dimensional space. This was an awesome project. I hope I can find the documentation and code for it.